It’s been nearly four years since audiences last saw the titular sheep embark on his first cinematic adventure and Aardman Animations has released the first trailer for the next chapter in the Shaun the Sheep franchise, Farmageddon, which can be viewed in the player below! 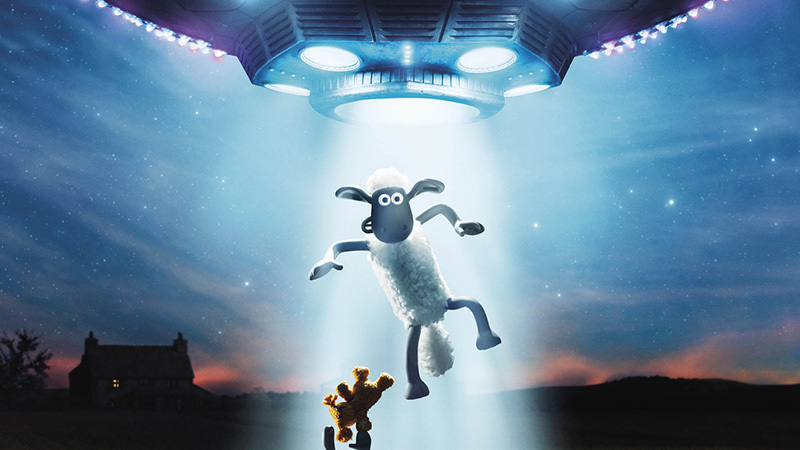 The film, written by Mark Burton and John Brown and directed by Will Becher and Richard Phelan, will follow Shaun and his flock after discovering Lu-La, a cute little alien with amazing powers who is stranded at the Mossy Bottom Farm, as they try and protect her from a sinister organization and attempt to send her home before the titular alien invasion. The sequel will feature Justin Fletcher (Shaun the Sheep Movie) reprise the titular role from the previous film, as well as John Sparkes (Peppa Pig), Kate Harbour (Bob the Builder), Richard Webber (Early Man), Simon Greenall (Alan Partridge), Emma Tate (Flushed Away) and Andy Nyman (Ghost Stories). A Shaun the Sheep Movie: Farmageddon continues the production partnership with Aardman and StudioCanal following the success of Shaun the Sheep Movie, directed by Mark Burton and Richard Starzak, which grossed $106 million worldwide and was nominated for both an Oscar and Golden Globe and Nick Park’s highly-anticipated new prehistoric comedy adventure, Early Man, which hit theaters in 2018 but grossed a disappointing $54 million at the box office. StudioCanal is co-financing and will distribute in its own territories, the UK, France, Germany, Australia and New Zealand, selling worldwide at AFM. The sequel for the 2015 hit is set to hit theaters in the US on May 15 and in the UK on October 18.